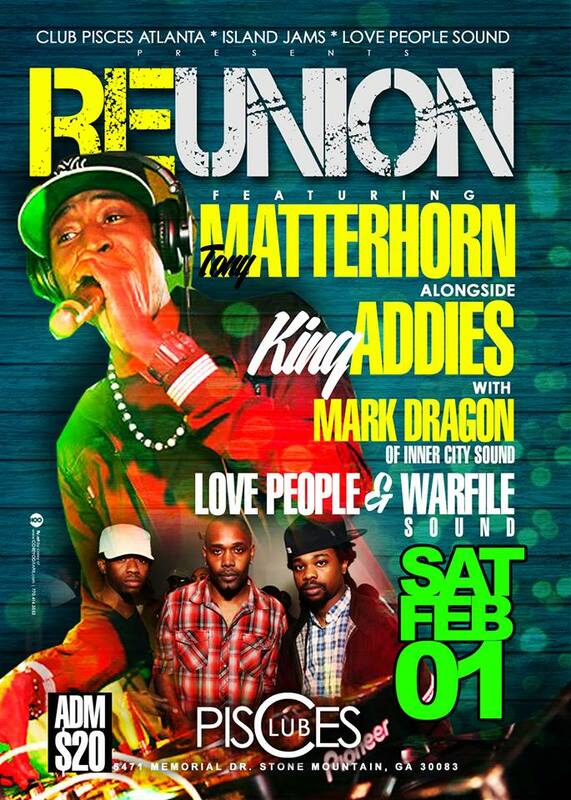 ‘Reunion’ on Saturday Feb. 1, 2014 The #History Dance Inside Club-Pisces Stone-Mountain Atlanta Ga. Admission is only $20 so come out early to enjoy the classics and exclusives from the Dubplate arsenal. T.I. and Lauren London to return in ATL sequel? Kalenna of Diddy’s ‘Dirty Money’ crew confirmed for Love & Hip Hop ATL?